Mom, the Intern: Dinosaurs in California. 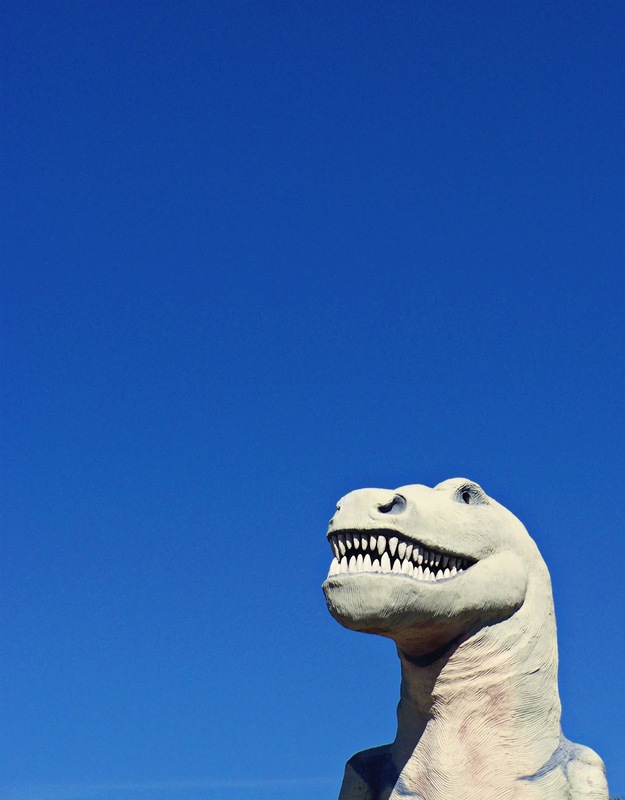 Have you ever noticed the massive dinosaurs on the north side of I-10 in the middle of nowhere? We took an impromptu trip to California for a rather unexpected funeral this weekend and I decided that Bubby would probably love eating her lunch amongst the dinosaurs. So we stopped there. Little did I know that it would be 1) freezing cold and 2) insanely windy. Really bad idea. Although, it did make for a hysterical picture. These two seemed to handle it just fine. I'm a drama queen, I guess. We just went there a month ago! 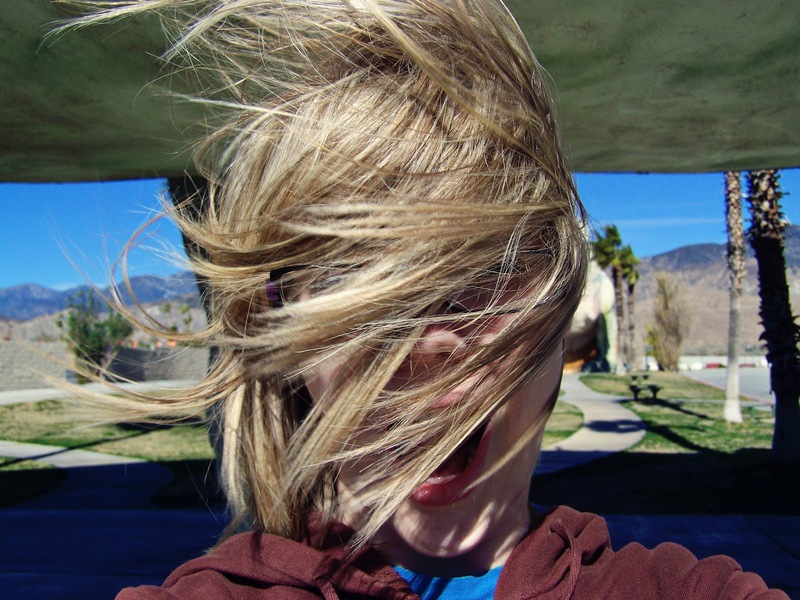 And yea, it is windy in SoCal in the winter. Look at that precious, genuine smile- you can tell she loved eating lunch with the dinos! That is pretty cool. That's awesome. My hair does that too. And the wind messes it up for the rest of the day. Then you look at my mom and her hair is perfect. Not fair.